By Angela Doland . Published on June 06, 2018. Welcome to Ad Age's Wake-Up Call, our daily roundup of advertising, marketing, media and digital news. You can get an audio version of this briefing on your Alexa device. Search for "Ad Age" under "Skills" in the Alexa app. What people are talking about today: The designer Kate Spade, whose cheerful boxy handbags evolved into a brand worth $2.4 billion, has died at age 55 of apparent suicide, The New York Times reports. Social media is flooded with homages from young women describing their first Kate Spade bag as a gateway accessory into the world of grown-ups. Mindy Kaling tweeted that Spade's pieces were "colorful, bold, cheerful, and encouraged women to find the twinkly person inside them. You couldn't walk into her boutiques and not smile." Beneath Spade's whimsical image "was a business mind that understood the opportunities in building a lifestyle brand, almost before the term officially existed," the Times writes. Devastating: Spade's sister told their hometown paper, the Kansas City Star, that the designer had been suffering from mental health problems and resisted checking in to a treatment center. 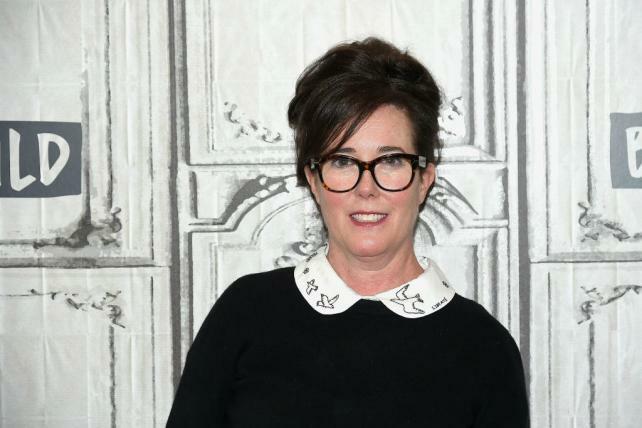 "We'd get sooo close to packing her bags, but—in the end, the 'image' of her brand (happy-go-lucky Kate Spade) was more important for her to keep up," Spade's sister, Reta Saffo, told the Star in an email. "She was definitely worried about what people would say if they found out." How the brand reacted: Spade and her husband and co-founder, Andy Spade, left the brand in 2007; it is now owned by Coach's parent company, Tapestry. On social media and on its web site, Kate Spade New York posted a message in white type on a black background: "Kate Spade, the visionary founder of our brand, has passed. Our thoughts are with her family at this incredibly heartbreaking time. We honor all the beauty she brought into this world." WPPs Ogilvy is rebranding and simplifying its structure. Ogilvy shifted Tuesday to a redesigned branding and logo (using a brighter red and new fonts), and it folded its sub-brands into the updated Ogilvy brand. Chef executive John Seifert told The Wall Street Journal that he believed the Ogilvy brand promise and purpose needed clarifying. And the purpose, he says, is "making brands matter." OgilvyOne, Ogilvy & Mather Advertising and Ogilvy Public Relations are among the sub-brands being folded into the main Ogilvy brand. Ogilvy Consulting (formerly OgilvyRED) gets its own name, though. A Mastercard meals donation campaign sparked a backlash, and the company is changing course. As Ad Age's Adrianne Pasquarelli writes, the brand had planned to donate 10,000 meals to those in need for every soccer goal scored by Mastercard brand ambassadors Lionel Messi and Neymar Da Silva Santos Jr. "But consumers complained that the campaign was too gimmicky for an area such as hunger, and questioned why Mastercard wasn't giving away the meals outright," Pasquarelli writes. Ad Age talked to Raja Rajamannar, chief marketing and communications officer, who explained the decision to adjust the campaign to one million meal donations in 2018, instead of tying the donations to soccer goals. Rajamannar also has this to say about the dangers of social media for brands: "When the social media engine is moving, no one has the patience to really understand the whole story—they just look at the headline and start freaking out." "Uncle Drew"started out as a character in a Pepsi campaign. And now "Uncle Drew" is about to become an actual feature film, with theatrical release. But wait, there's more: Pepsi is running an ad to promote the movie that's based on a Pepsi ad. Are you following this? As Ad Age's E.J. Schultz writes, it's very meta. Boston Celtic Kyrie Irving started appearing for Pepsi as "Uncle Drew"—an older, white-haired guy who's amazing at basketball—in a 2012 campaign that went viral. The movie, which opens June 29, stems from a deal between PepsiCo's in-house Creators League studio, Lionsgate's Summit Entertainment and Temple Hill, as Schultz writes. Click here to watch Pepsi's new spot, along with a PSA from the Ad Council and AARP featuring the Uncle Drew character. Yes, he's everywhere. Puma: The sports brand is running a global media pitch, Ad Age's Megan Graham reports. Publicis Media-owned Blue 449 is the incumbent. Pivot to video: Instagram "is preparing to launch a new feature that will include long-form video" of up to an hour, The Wall Street Journal reports. Huh: Facebook says it has data-sharing partnerships with at least four Chinese electronics companies, including Huawei, "a telecommunications equipment company that has been flagged by American intelligence officials as a national security threat," The New York Times reports, following up on an earlier story about the social network's deals with device makers. OK: 21st Century Fox can go ahead with a planned takeover bid for pay TV broadcaster Sky, as long as it sells Sky's news division, the U.K. government says. Read more from CNN. Changing of the guard: The Wall Street Journal is getting a new editor-in-chief, Matt Murray, the current executive editor. He succeeds Gerard Baker. Smashing: Heineken USA named Maggie Timoney as its CEO, smashing the U.S. beer industry's glass ceiling, writes Ad Age's E.J. Schultz. Creativity pick of the day: How do you advertise erectile dysfunction treatments? Agency Circus Maximus crafted a hilarious and informative ad for the prescription-and-delivery service Roman that involves two guys at a barbecue asking questions "for a friend." (A friend who has approved them to accept his packages.) Plus, the actors are terrific at conveying shifty-eyed nervousness. Read more by Ad Age's I-Hsien Sherwood, and watch it here.